After my car accident I went to one of the TV lawyers. I had trouble getting answers to my questions. I never really got to talk to my lawyer and they really didn’t seem interested in helping me. It seemed like they were too busy and my case didn’t seem to matter to them, like I was just one of their many files. I finally got frustrated enough that I wanted to get a new lawyer. A friend told me I should call Ken Howell, the lawyer who had helped him. so I did. Things were different with Ken. He seemed to really care about his clients, he explains everything and he really wants to help his clients. There was a big difference in the service he provided . Ken is not like the TV lawyers. Unfortunately, I have had two car accidents in the past several years and neither one was my fault. Ken Howell was my lawyer for both accidents. Two reasons I came back to Ken Howell again for the second accident were because Ken really cares about helping you and Ken works really hard on your case. He is not like what you might expect a lawyer to be, he is actually very easy to talk to and very down to earth. I have recommended Ken several times to people who have had car accidents. 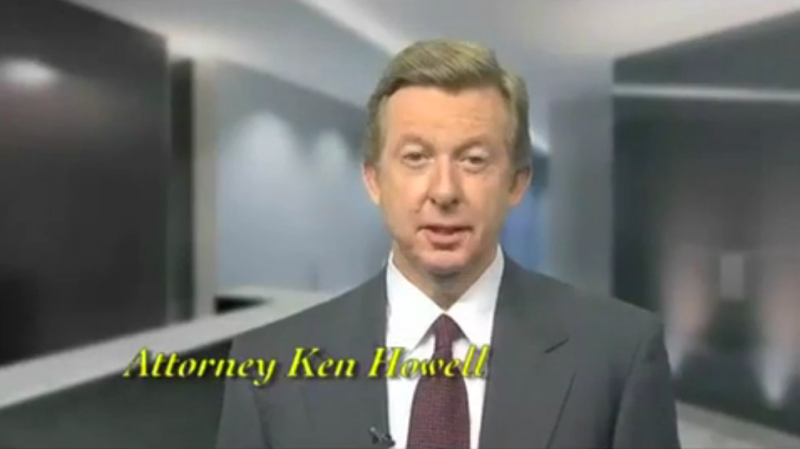 I had a car accident several years ago and I hired Ken Howell as my lawyer. A few years after that I was injured when I slipped on water on the floor in a local food store. I once again called Ken Howell to represent me. I went back to Ken again because he was always very good about returning my phone calls, and explaining what was going on with my case. He always acted like he was happy to answer all my questions and explain everything. He also worked very hard to get me the most money for my injuries. In fact, in my fall at the food store he ended up getting me more than twice what they had wanted to pay. So, Ken was my lawyer twice and he did a great job both times. 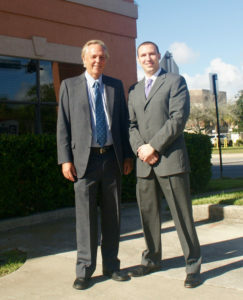 Ken Howell was my attorney for my car accident case. I didn’t know him but a friend of mine had recommend him after he used him for his car accident. Ken spent a lot of time when he first met with me explaining what to expect in my case and he was very good about answering all my questions every time I called him. He fought very hard to get me a good settlement and I was very happy with his service.